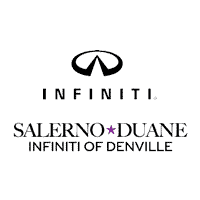 At Salerno Duane INFINITI of Denville of Denville, our finance experts realize that the words financing and fun don’t often appear in the same sentence. But financing your new or pre-owned INFINITI model with us is just that. Here’s what you can expect from a visit to our exceptional finance department. We don’t want to take up too much of your time, but we do want to be able to provide you with the best rate possible on a loan or lease. Sit down with one of our finance team professionals and we promise to help you find the financing plan that’s the right move for you and your family. We realize and respect that each customer is at a unique point with his or her finances when they speak with us. A passion for helping others, expert knowledge in the financing realm, and business conducted with the utmost respect equates to a plan that makes the most sense for your new investment. From changing ownership titles to deducting trade-in costs, we speak finance in a way that gives you all of the information you need to know upfront so you can get back to what matters most: driving your new INFINITI! The Salerno Duane INFINITI of Denville of Denville finance department also offers a variety of finance-related features and content on our website to help you get a jump-start on the process. Get the first steps taken care of from the comfort of your own home by applying for financing online or reading up on the difference between buying vs. leasing an INFINITI model. Our finance experts are always happy to answer questions from local car shoppers in the Denville, Rockaway Township, and Parsippany-Troy Hills areas. Give us a call today or apply for financing now. If you’d rather chat in person, head down to our office located at 3103 Route 10 in Denville. We’ll talk about what we can do for you, plus you can check out the striking INFINITI models in our showroom while you’re in the neighborhood. We hope to see you soon!